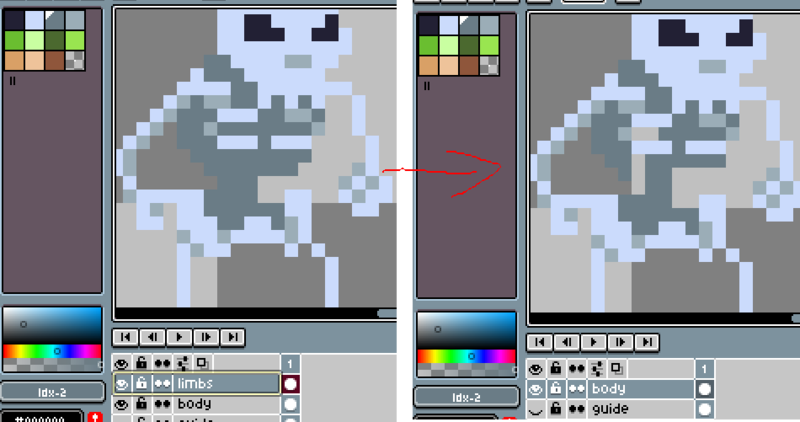 Like what the topic says, sometimes when I merge down Aseprite will drop or move random pixels. This happened to me twice in 2 different projects already. Hi norcrel, this also happened to me once. I think that fixing this bug is really important, can we help in any way @dacap? Maybe we could help by trying to get an .ase file that can replicate the issue?